Ahh… Marilyn Monroe. Norma Jeane in a come-hither pose graces this black-and-white Marilyn Monroe 16 oz. 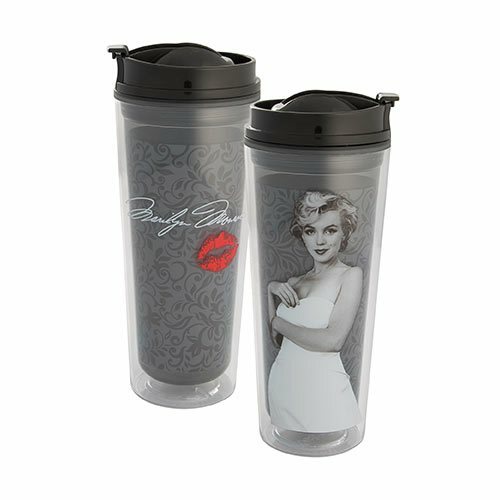 Acrylic Travel Tumbler, along with her signature and lip print. Made from lightweight plastic, it measures about 8 1/4-inches tall and features a screw-on flip-top lid. The double-walled tumbler is dishwasher safe. If you're one of Marilyn's many fans, you need this! Do not microwave.